Boxstorm is the first free online inventory management solution to integrate with QuickBooks Online. No small business or startup should ever have to use manual inventory management methods when they have something like this available to them. You can get it at absolutely no cost when you sign up for a free account of Boxstorm Forever Free. Try it out and see how it can help you track your products and assets. If you’ve only used spreadsheets or a pen and paper to manage your inventory up to this point, but you’re not ready to invest in big, complex inventory software, Boxstorm is among the top alternatives to inventory management systems for you. You’ll never have to pay anything to use Boxstorm Forever Free, and you can use it to track all of your goods across multiple locations. Download the Boxstorm app to turn your mobile device into a barcode scanner so you can scan items in and out whenever you like. It’s available as an iOS and Android app. Don’t just take our word for it. Head over to the software review site FinancesOnline to see a detailed analysis of the numerous Boxstorm features. 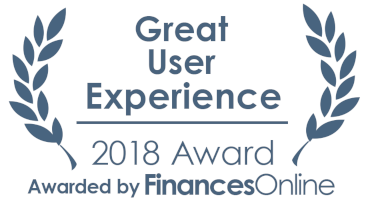 Boxstorm received their Rising Star Award for 2018 and Great User Experience Award, based on its intuitive interface and extensive list of features that are designed for small businesses that are just getting started with an inventory solution. Check out the FinancesOnline review under their top 14 popular inventory management software to see what Boxstorm is all about. Then try it for yourself by getting your very own free account. Never manage your inventory by hand again when you have a free online solution right at your fingertips! This entry was posted in Online Inventory Management and tagged boxstorm, inventory app, Online Inventory Management, quickbooks online. Bookmark the permalink.